Being an international student can sometimes be a bit difficult. You have to think of your Visa, you can’t necessarily find food you miss from home, and you have to deal with the time change. This is why it is so important to know what services are available on campus for us international students. I really appreciate that the convenience store on campus has a wide range of international foods directly available to us students. From different Asian cuisines to American snacks, you’re bound to find something that makes you think of home. There are also several restaurants and a few stores in town that also offer food inspired by different cuisines. The International Student Support team: This is where I come in as an international ambassador! I work for a team that is dedicated to the recruitment and the continued support of students at Surrey. There are also Country Representatives that are an excellent point of contact at the University before you arrive and once you are here. They really do have a wonderful team at the International Office. For example, right now the North American representative is the wonderful Mrs Katie Sharpe who you might have been in contact with already. Find your country information here: https://www.surrey.ac.uk/international. The University of Surrey International Study Center: This center I’ve mentioned before in the Academic Support blog. They run study groups designed to get you used to university-style teaching and develop your academic and English language skills. Check out their website for more information: http://isc.surrey.ac.uk/international-study-centre. International Orientation Programme: This programme is run by the International Student Support team where they invite all international students to attend a welcome week before all of the EU and UK students arrive. They organize day trips around Surrey, have a fish and chip dinner, several workshops and talks, and invite students to several socials to get to know the campus and your fellow international students. Check out this year’s programme to get a better idea of how great these events are: https://www.surrey.ac.uk/international-pre-departure-guide/your-first-few-days. Student Services – International Student Support: For more formal help, the University’s Student Services offer support for visas and immigration information, international travel advice, and specialist welfare support for international students. 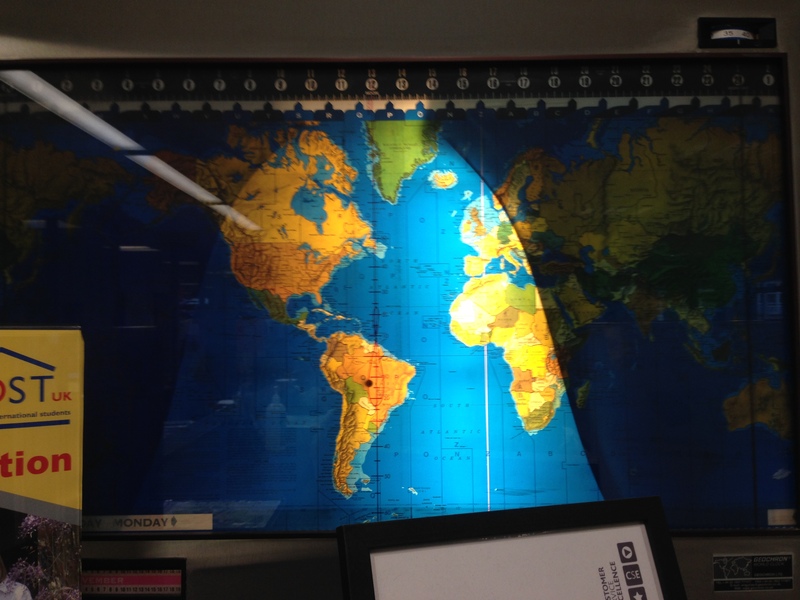 They also have a really cute map that lights up the part of the world that is currently awake. https://www.surrey.ac.uk/currentstudents/visa/. Hopefully this blog will come in handy if you have any questions regarding the international process of coming to Surrey.